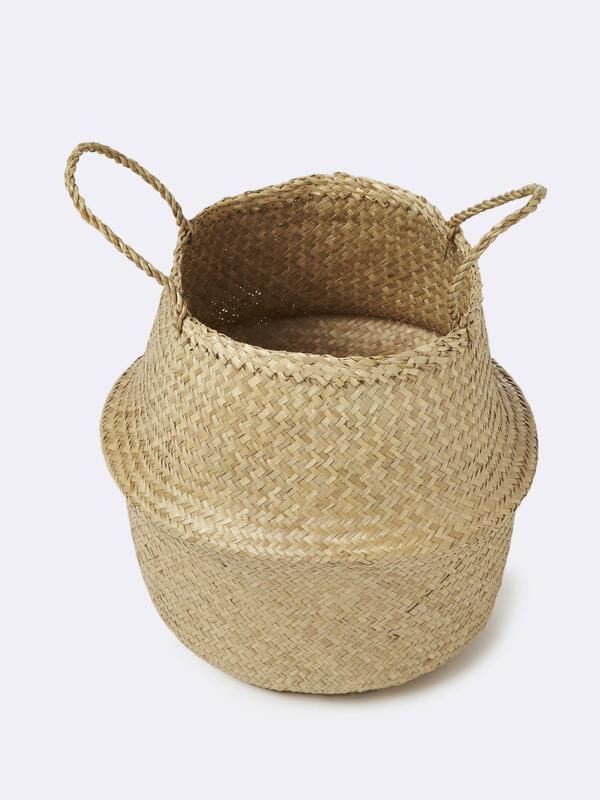 Practical and trendy, this wicker basket is available in 2 sizes and 2 styles. 2 handles. Tall version: Height 33cm, diameter 30cm approx. Short version: Height 16cm, diameter 35cm approx.